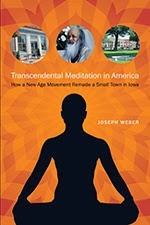 When I was making my "Year in Preview" list of books back in January, Joseph Weber's Transcendental Meditation in America: How a New Age Movement Remade a Small Town in Iowa caught my eye, mainly due to the juxtaposition of "Transcendental Meditation" (TM) and "small town in Iowa" (Fairfield, population 9,400). Although the subject matter of the book falls outside of my primary research areas, I wanted to highlight it here at the blog because 1) it's interesting and 2) I'd like to provide attention to recent efforts to bring "renewed scholarly attention to the study of the Midwest." Jon Lauck's The Lost Region: Toward a Revival of Midwestern History (University of Iowa Press, 2013), seems to be the manifesto of sorts for the Midwestern history renewal movement. Along with his book, there's also the forthcoming launch of the interdisciplinary digital journal, the Middle West Review (RiAH veteran Chris Cantwell is one of the journal's editorial reviewers). And there's the Midwestern History Working Group, whose members have been taking part in a number of panel discussions this year at a variety of history conferences across the Midwest (you can view video of the panel that was held at the 2014 Missouri Valley History Conference here). Later this year, a formal decision will be made about whether or not the Midwestern History Working Group will transition into a more formal scholarly organization. Weber's book, as part of a series launched by the University of Iowa Press intending to "make Midwestern history more accessible to the general public," fits in with this larger push for a "rediscovery" of Midwestern history. Hopefully as new publishing platforms devoted to Midwestern history emerge, scholars of religion will follow in Weber's footsteps and claim a place at the table. But I digress. Onto the book. For those not familiar, TM is a religious movement (or is it nonreligious? or all of the above?) founded by Maharishi Mahesh Yogi, the "giggling guru" from India who became a household name in the United States in the 1960s and 1970s. His teachings, which emphasized reaching higher states of consciousness, were primarily advanced in the U.S. through a simple "twice-a-day for twenty minutes" meditation technique. The Beatles and numerous other celebrities became practitioners, and the TM method was promoted in television talkshows, local training centers, and college campuses across the country. In terms of sheer numbers, TM probably reached its peak around 1975. Weber attributed the post-1975 decline to Maharishi's increasingly grandiose claims about the potential of TM. Prior to the mid-1970s Maharishi usually promoted just his basic meditation system (although he provided avenues for advanced guidance and teaching for those who wanted more). 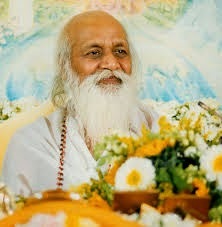 But by the late 1970s, Maharishi unveiled new, more demanding meditation techniques, and also began to promote ideas like Yogic Flying and the Maharishi Effect. The Maharishi Effect was based on a 1974 study that showed that crime rates declined when at least 1 percent of a city's population learned TM. Leaders of the movement eventually used the study to claim that if the square root of 1 percent of the population of a given place practiced TM, crime and other sources of discord would decrease. Maharishi put his belief in the Effect into practice: in the late 1970s, he sent out groups of TM leaders to areas of conflict around the world (Weber mentions Nicaragua, Iran, and Rhodesia). Their presence and daily meditation was supposed to spread peaceful vibes that would help bring an end to conflict and eventually usher in world peace. Weber also attributed TM's decline to a growing belief among the American public that TM was a religion, and thus not compatible with more established and exclusivist forms of religion like Christianity. Proponents of TM had succeeded in the 1970s in getting public schools to adopt programs that implemented TM techniques. But in 1976 a lawsuit in New Jersey that claimed TM was "religious in nature" successfully put an end to TM programs in public schools. It was at the height of TM's success that Fairfield, Iowa entered the picture. 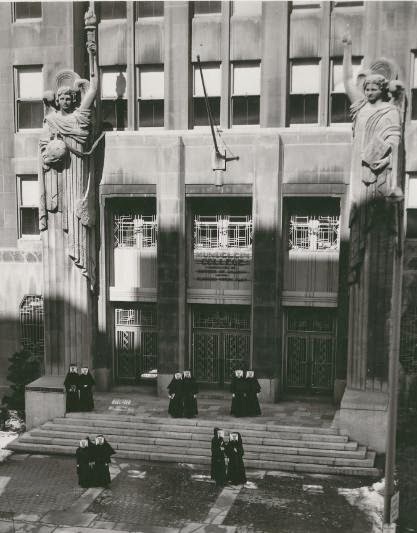 In 1974, TM leaders purchased the campus of the defunct Parsons College (formerly a Presbyterian school) to serve as the site of their new university. Eventually known as the Maharishi University of Management, the school helped to draw TMers to the community in southeastern Iowa. As TMers settled in Fairfield, the town was transformed by their tastes, sensibilities, beliefs, and practices (NPR has done a couple recent stories on this). The bulk of Weber's narrative focused on the transformation of the town, its residents, the university, and TM since the 1970s. It should be noted that Joseph Weber is currently a professor of journalism at the University of Nebraska-Lincoln. He has also spent 30+ years working as a journalist. Thus, it should come as no surprise that he brought a "journalists's eye" (as Matt Hedstrom put it in his blurb) to the subject. The book was a nuanced, well-reported, investigative piece that relied heavily on interviews. Clocking in at only 190 pages (plus about 10 for endnotes), it was an easy and engrossing read. But while Weber certainly reported an interesting story, he did not necessarily analyze TM as a scholar of religion might, nor did he interact with much of the relevant historiography (although he did use it to advance his narrative at times). Even so, I think that scholars of religion would find this book useful. In particular, teachers could use it in the classroom as a jumping off point for discussing religion and place, for analyzing how we decide what counts as "religion" anyway, or for discussing the so-called "alternative religions" that were embraced by baby boomers in the 1960s and 1970s. For me, one of the most interesting aspects of the book came from the multifarious ways that Weber's interviewees explained TM's relationship with religion. I'd imagine that teachers could pull out the sections from the book in which individuals explain why or why not TM is a religion (TMers generally claim it is not, while opponents claim that it is), and have an interesting discussion. To name just a few, one individual who left the TM movement came to believe that TM was simply "Hinduism in disguise...dressed up in scientific language to suit our western tastes." As a result, he believed it wasn't compatible with other religions like Christianity. 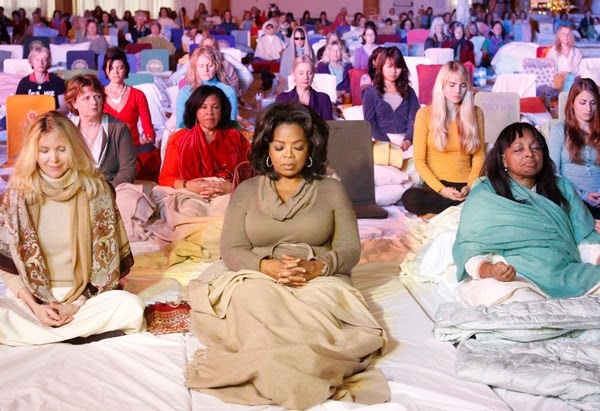 But others continued to attend a Christian church while simultaneously following the TM meditation techniques. Then there was the observation by one former member (kicked out against his will) that by the 1980s TM was experiencing a "drift towards dogmatism" and becoming like a cult. Importantly, Weber's book shows once again that how we define "religion" has real consequences. One person's decision that TM was, in fact, a religion caused him to leave behind TM. A court's decision that TM was religious caused its programs to be eliminated from public schools. Meanwhile, TM's presentation of itself as nonreligious may have made it more acceptable at first to an American audience. Yet, Weber claims that TM's secular self-presentation might actually be its downfall, leading to the diffusion of TM's principles (primarily meditation) without the necessary identity boundaries needed to inculcate the devotion to TM needed to sustain and advance the movement. How long TM will survive is up for debate, but for now it continues to have its share of celebrity supporters and ardent defenders. For example, if you check out Amazon* you'll find four reviewers (three of whom are insiders either to TM or Fairfield) take offense to Weber's supposedly "distorted" view of the movement. For my part, I found Weber's book to be fair and compelling throughout, and it has whetted my appetite for recent and forthcoming books like Arthur Versluis' American Gurus and Jeff Wilson's Mindful America, not to mention Michael Altman's more distant From Heathens to Hindus: Religious Difference in Protestant America. *For those on Team Hachette or Team Pay Less Money, you can buy the book directly from University of Iowa Press. Four or five years ago I went to a talk on TM in Fairfield. The scholar who spoke made a couple jokes based on the premise that TM, well, doesn't work. After the talk, two guys in their 20s stood up to rebuke the speaker and audience for their "spirit of skepticism" and spent most of the Q and A trying to convince everyone in the room that TM could reduce crime. Not sure what conclusion to draw from this other than 1) you never know who's in your audience and 2) re: TM's endurance in the Midwest, there were at least two practitioners in North Dakota in 2009 or '10. Great post, Paul. And thanks for the shout out to the MWR too. Great to see #Heartlandia getting some discussion on the blog. Your post (and Charlie's anecdote) makes me think about the Midwest as fertile ground for new religions. Sure California was the coast by which many eastern religions arrived in in the US and upstate NY was where Mormonism originated. But think about how central the seemingly expansive possibilities of the Midwest was to those. It'd be great to reflect on this in a more formal way some time. I also just learned Kansas City was the site of origin and current home of the Unity movement, a kind of metaphysical positive thinking group loosely based on Christianity. I think you make some great points about studying religion in the Midwest. With Mormonism, for example, I know that the Reorganized LDS Church was and is mostly based in the Midwest. And the Midwest has also been an important site for "old" religions like Islam that were relatively new to the U.S.